“My interest in economics really developed while I was taking Professor Bertrand’s International Trade course. I realized that in addition to offering technical skills, my economics classes offered me the opportunity to connect theory with practical applications." 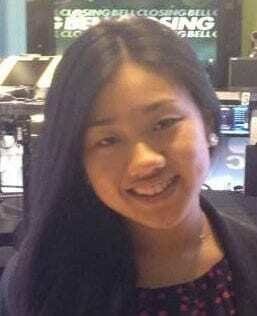 Christina enjoyed the flexibility and opportunities offered by Deloitte. Clearly Deloitte was impressed by Christina as well, since she is now working there as an analyst specializing in the federal sector. Ultimately, she hopes to pursue a career in international economic development. Last words on Hopkins Economics Department? “The biggest lesson I learned from majoring in economics is that you should never be afraid to ask for help. My experience at Hopkins was that the professors and TAs are always happy to answer any questions that you may have. There are many different fields in economics and Hopkins offers a variety of different economics classes. Don’t limit yourself and take as many types of economics classes as you want. “Thanks, Christina, we agree!